As of Jan 1, 2017, this blog is no longer being updated. Its content is copied to the Gardening Resources area of our NEW Website. See all our gardening and seed information, articles, photos and videos, recipes and 700 seed varieties together in one place. 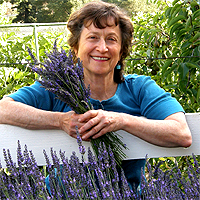 Renee Shepherd is the president of Renee's Garden Seeds, with over 25 years of experience in the heirloom garden seed business. 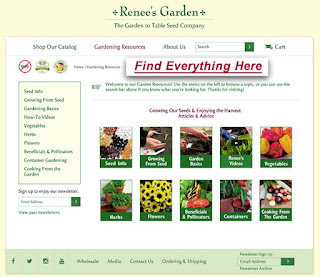 Visit our website at ReneesGarden.com for gardening ideas, variety photos and suggestions for home gardeners for success with growing from seed.